With this post, author Stewart Hase requests your feedback about this typology. What do you all think? Please post your comments below! 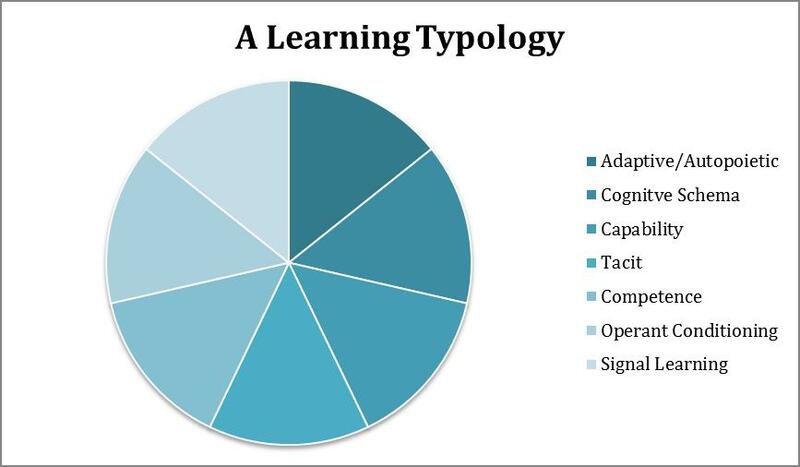 This typology is an attempt to redefine how we think of learning in the 21st century context. Current definitions of learning focus on performance rather than holistic growth, and on what the learner can do after a learning experience. Gagne is perhaps the most notable exception. General dictionary definitions of learning refer to learning as the acquisition of knowledge. The prevailing psychological definition is that learning is a change in behavior resulting from experience. Both these definitions seem inadequate given recent advances in neuroscience that shows us how complex a process is learning. We are much more able now to examine directly how people learn rather than indirectly by studying what techniques work, which tends to be anecdotal and qualitative. It seems now to make more sense to design learning experiences around how learning takes place and blends with learner interest rather than to produce a particular outcome. The typology described below concerns what is happening in the mind of the learner during the experience of learning. Using this as a base we are able to then jump into outcomes and the educational or learning experience itself. Each type of learning implies that different learning experiences can be designed to either help people learn or are aimed at people already operating at that level. The worthiness test is not meant to be applied. This is a typology not a taxonomy. For example, conditioned behaviours, habits and competencies are critical to survival and to the efficient use of resources. They don’t need to be seen as less vital or subservient to say adaptive learning, although they could perhaps be said to be more primitive. This involves what one could call deep learning. Complex connections are made between previous learning in the face of the need to adapt. Bifurcation enables shifts in perspective, the confident ability to attempt something new, to experiment. Autopoiesis involves self-organization and adaptive behavior in highly complex and perhaps chaotic environment. 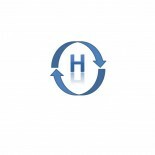 Learning is applied in novel ways, reflexivity, double loop learning and triple loop learning are used as normal practice to evaluate behavior and outcomes that then facilitate more change in a continuous, adaptive, feedback loop. Knowledge becomes wisdom. All learning involves pathways being established in the brain that are then retrieved in the form of memory. In adaptive learning, however, we see connections being made between different pathways that create new insights, new ways of seeing the world, new hypotheses to be tested. This is the world of creativity and innovation, and, ultimately, survival in the face of the need to adapt. You can imagine this sort of learning occurring in the face of very complex problems or when survival is threatened. We are forced to look at the world in a different way, to challenge existing dogmas that clearly are not working. Thus, motivation is high either by design or by rising stress. In the case of the former, one thinks of Edison’s laboratory in Menlo Park or perhaps Google and Apple, hot houses of innovation and creativity. The latter may involve a more spontaneous rethinking of a theory, a new way of interpreting our experience (data or events), a new insight into a phenomenon, perhaps a reinventing of self. Cognitive schema are our values, attitudes and beliefs, that are transcribed into thoughts and actions. In normal day-to-day life they are relatively resistant to change. They are learned early in life and drive much of our behaviour. With strong links to the emotional parts of our brains cognitive schema will often override even very convincing evidence to the contrary. So, a shift in our cognitive schema is a very high order learning experience. It often takes a very emotionally charged event, a powerful experience to change them. This was something that constructivism and one of its sequela, experiential learning, understood very well, as does much of psychotherapy. As in adaptive learning, a new complex web of pathways is developed, and the old are broken down. So powerful is this shift from old to new that we may later never even recall having held a particular belief or attitude. With a shift in cognitive schema comes a new set of behaviours. I may, for example, be involved in a cleverly designed experiential learning activity in a workshop that causes me to become aware that I have some very controlling behaviours as a leader. The insight is so powerful that I decide to combat this strong personality trait, delegate more and to trust others rather than micro-manage them. Capable people (Cairns, Stephenson) are able to apply learning in novel situations as well as the familiar. They also have a high level of self-efficacy, collaborate well with others and have the capacity to learn. Here context is the key to new learning. Changing context provides an opportunity to experiment with our competencies and perhaps find novel and authentic ways of problem finding and solving. To develop capability I am required to apply my competencies in a range of novel situations, to stay calm in the face of complexity, to think analytically about how to use my skills, to learn new skills, and to seek out a mentor or learn vicariously. I am aware of the importance of relational learning, and of the potential of the learning commons. As I become more adept my self-efficacy increases and becomes more generalized. High-level competencies are internalized so effectively that highly skilled tasks can be undertaken without observable/overt thought. Thoughts may be actualized through external questioning. Tacit learning is mostly seen in expert practitioners and occurs quite unconsciously. I am placed in situations where my competencies are refined in the face of increasingly complex tasks. Competencies consist of knowledge and skills. We acquire these through direct experience or vicariously, informally and in formal education. Most formal education is concerned with competence attainment and its reproduction. In today’s networked world obtaining competencies is easier than ever before. We acquire competence through formal education experiences or, more likely, through informal process, when and if we require them. Unconscious, conditioned responses to stimuli in the environment, is also known as operant conditioning. This is a very common form of learning in formal and informal settings and is responsible for us learning many physical and social life skills essential for survival. We perform a behaviour and we are rewarded for it by some form of recognition, reward or positive outcome. The reward conditions the response and we are more likely to reproduce the behaviour in the future. The conditioning of more complex behaviours become habits and are unconsciously repeated. This sort of learning (conditioning) can also be vicarious as we watch others experience positive outcomes when they do something. The simplest form of learning also known as classical conditioning. Again, this is a very common form of learning and is unconscious. When I was a child my mother once gave me honey on bread when I was very sick with Scarlet Fever. It made me feel nauseous. Since then I have had a mild aversion to honey and never eat it. This was an unintended response (nausea) to the stimulus (honey). Advertisers use classical conditioning techniques to make us buy things. An attractive person driving a particular car or using an appliance is used as a stimulus to elicit a response. A close friend who you always have a great time with when you go out wears a particular perfume. The smell of the perfume on other people makes you feel really good-without you being aware of it. Please post your comments to this typology below! Thanks for contributing. This entry was posted on August 12, 2014 by copheutagogy and tagged capability, cognition, competence, heutagogy, learning, memory, neuroscience.